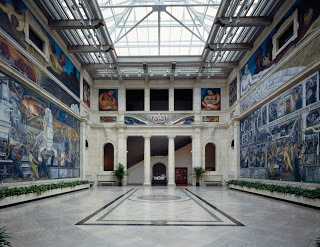 This last spring I had an opportunity to visit the Detroit Institute of the Arts Museum. 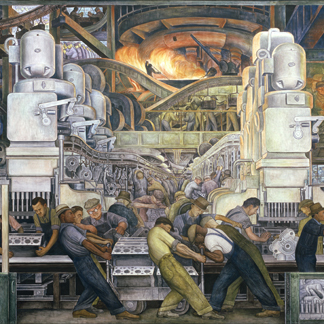 While there, I encountered ‘in the flesh’ as it were, the Rivera Court, which is home to Diego Rivera’s Detroit Industry fresco cycle. 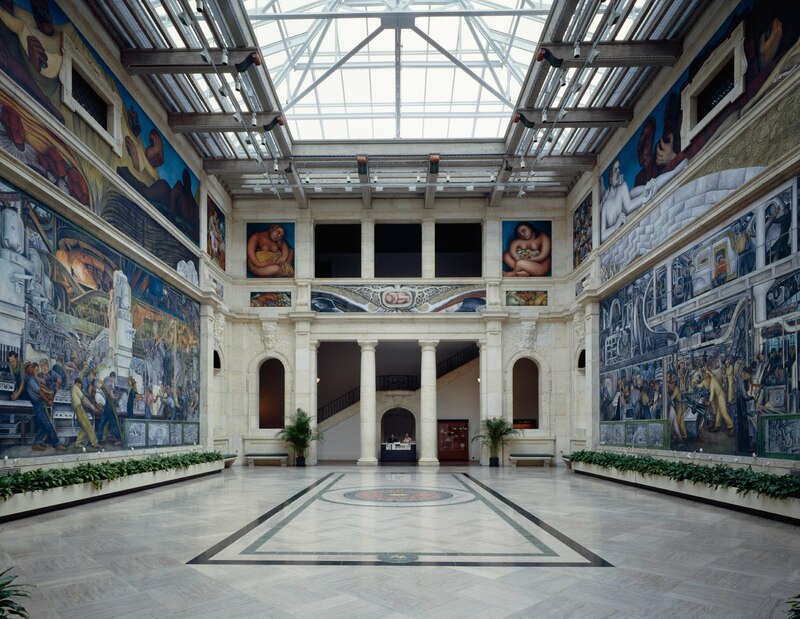 It consists of 27 panels, painted over an 11 month period between April of 1932 and March of 1933. 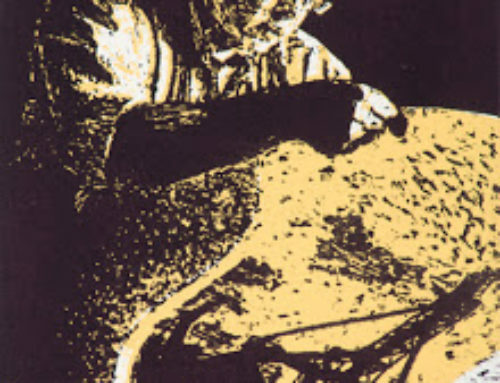 The subject of the cycle is the industry and the industrial workers of Detroit. This is true fresco, so each section was painted with water based paints on wet plaster. As the plaster dried, the pigments were incorporated into the surface. It would be impossible to take the entirety of this work in during a single visit. It is too large and each panel is overflowing with activity. 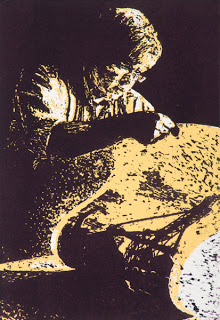 You might assume a natural affinity for me, since industry is front and center in these images. But these are not landscapes. Figures stretch and reach, grasp and lift, pull and push. The energy and activity flows through them. I learned later that many of the preparatory drawings and cartoons (full scale drawings used to transfer the image to the walls) have been preserved. In them you can see the strength of Rivera’s drafting in the confident flow of the line. 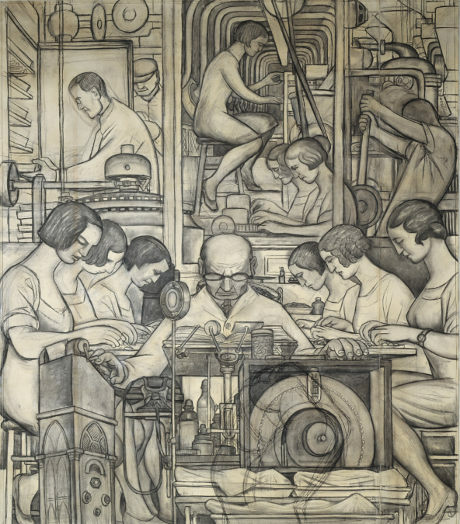 In addition to the DIA website, there is an excellent book, Diego Rivera: The Detroit Industry Murals that contains material on the creation, the process as well as a panel by panel discussion of the entire cycle. I found it intensely interesting.